The existence of the 'monster' planet, NGTS-1b, challenges theories of planet formation which state that a planet of this size could not be formed around such a small star. According to these theories, small stars can readily form rocky planets but do not gather enough material together to form Jupiter-sized planets. 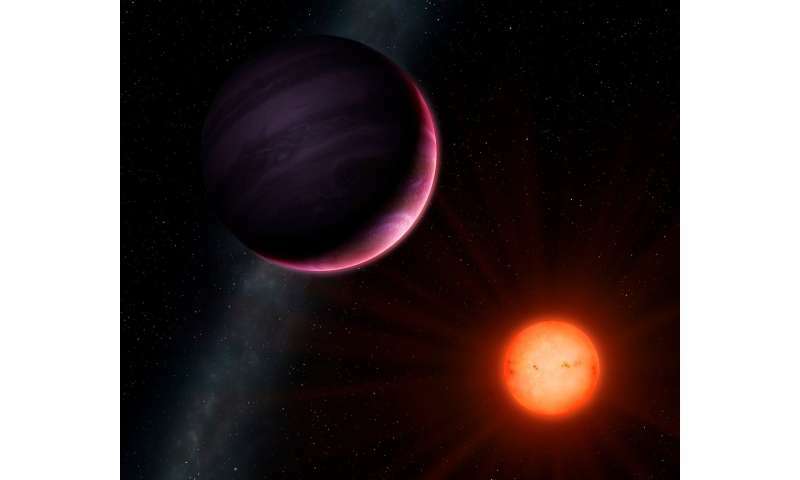 NGTS-1b however, is a gas giant—due to its size and temperature, the planet is known as a 'hot Jupiter," a class of planets that are at least as large as our solar system's very own Jupiter, but with around 20 percent less mass. Unlike Jupiter however, NGTS-1b is very close to its star – just 3 percent of the distance between Earth and the Sun, and completes an orbit every 2.6 days, meaning a year on NGTS-1b lasts two and a half Earth days. Astronomers have found something they thought was impossible: a gas giant roughly the size of Jupiter orbiting a white dwarf half the mass and size of the Sun.